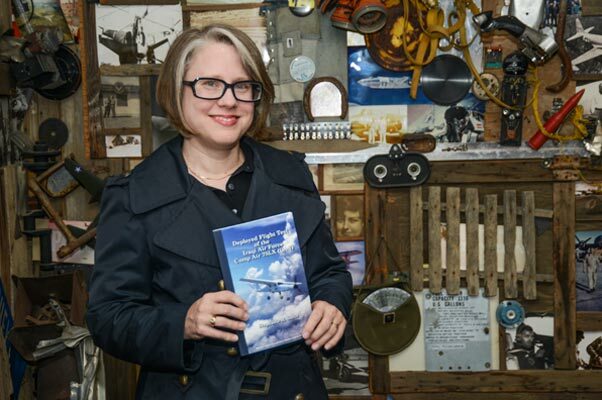 Dr. Stephanie Smith received the Robert F. Futrell Award for Excellence in historical publications for her special study, "Deployed Flight Test of the Iraqi Air Force Comp Air 7SLX (CA-7)." 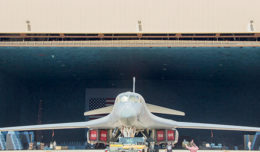 EDWARDS AIR FORCE BASE, Calif. — Developmental Test and Evaluation happens in the most controlled environments with many safety procedures in place. At least, it usually does. “Deployed Flight Test of the Iraqi Air Force Comp Air 7SLX (CA-7)” by Dr. Stephanie Smith, Air Force Test Center Office of History, tells a very different story. It’s the story of a DT and E mission in an active combat zone at Kirkuk Air Base, Iraq. For her research and efforts in creating this special study, Smith received a Robert F. Futrell Award for Excellence in Historical Publications this month. The story takes place in Fiscal Year 2006 when testers from Edwards and around Air Force Materiel Command were requested to deploy to Iraq and conduct flight test of the Comp Air 7SLX. The kit planes were purchased by the United Arab Emirates and given to the Iraqi Air Force for aerial reconnaissance. The testing was done in two phases, the first by a small team including instructors and graduates of the U.S. Air Force Test Pilot School that conducted an initial evaluation of the Comp Air 7. In the second phase of testing, Air Force Materiel Command deployed a larger team to the test, which included maintenance personnel from the combat support teams from across AFMC. “The second phase ended rather abruptly when the team called a ‘knock it off’ and said this is not safe,” said Smith. One of the biggest problems with the aircraft was that the kit planes were not very standardized. Each one might have a different weight, fuselage structure or wing placement. Smith said the kit plane enthusiasts on the team she interviewed compared the situation to building a car without detailed instructions. 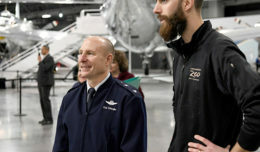 “It’s as if you were building a car and all the directions say was, ‘the brake pedal goes in the driver compartment’ and it could be on left, on the right,” she said paraphrasing the second phase team lead Lt. Col. Michael E. Pelletier. As she conducted her research, Smith saw that the project was completed in a center construct, before the AFTC enterprise was established. She also saw that the fundamentals taught at the USAF Test Pilot School proved to be invaluable. Special studies can be done by Air Force historians in addition to the periodic histories that are written annually. The studies are intended to take unique pieces of history and tell them in a more accessible, story format. “Deployed Flight Test of the Iraqi Air Force Comp Air 7SLX (CA-7)” can be downloaded athttp://www.dtic.mil/docs/citations/ADA609476. To request a free hard copy, email the Air Force Test Center History Office at aftc.ho.mailbox@us.af.mil.